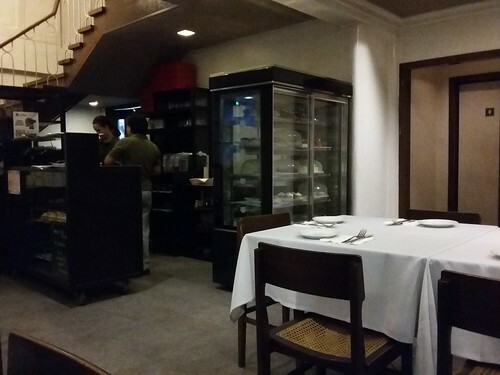 I HAD THE privilege of finally dining at Uno, a small, quiet restaurant in Tomas Morato. It looked like one of the hang out places I saw in Amsterdam: intimate, dimly lit and inviting, devoid of noisy crowds fresh from the office or school. My brother , a cake afficionado (probably the reason why he now looks like a heart attack waiting to happen, a joke I crack to get him to exercise), went with me. 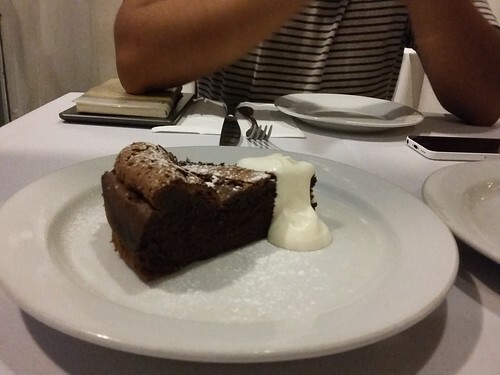 We tried the flourless chocolate cake, which I already had the privilege of tasting in 2008. Kino Aquino brought the most delicious chocolate cake I've tasted to the lab (Laboratory of Molecular and Cell Biology). Eating it relieved the undergraduate tension of my failure to grow murine neurons on the culture media—either that or I wouldn't graduate on time. It still tasted the same: like an explosion in the mouth, a bittersweet taste complemented by neutrality of the cream overlying it. 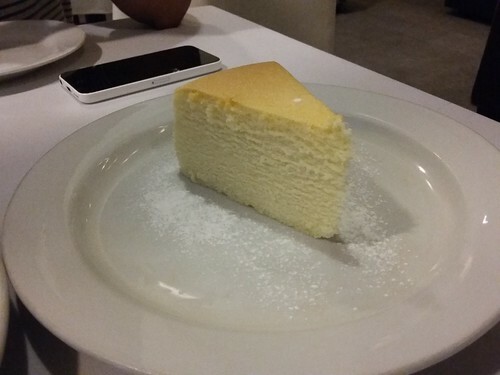 The cheesecake was lovely, too. It had the proper texture, melting in my mouth without sticking on my teeth. The café Americano was great, but I still would've preferred eating the cakes with a fresh brew from Midtown Diner. I love a good baked cheesecake and of course chocolate is almost always a safe choice. 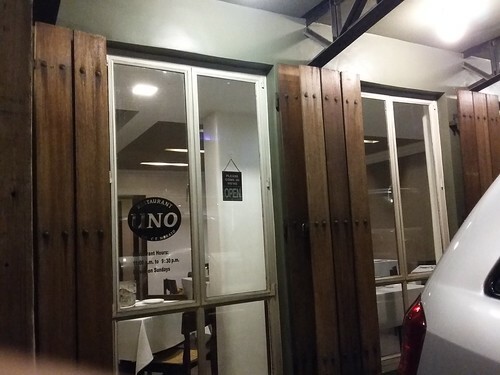 Will try Uno if I'm ever eating at Tomas Morato. Good to know. You won't be disappointed.